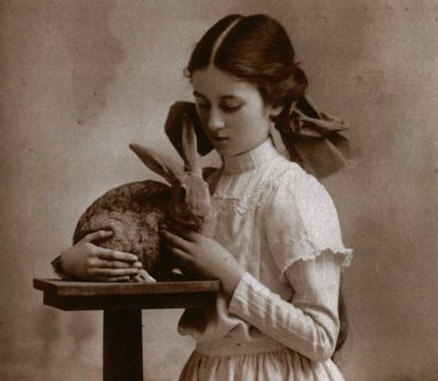 “Grandfather shot Fern’s pet rabbit this morning,” Frederick informed his mother and sisters Constance and Imogene that afternoon while taking tea in the sitting room. “Ah well, not much for it. We’ll have to get that gun away from your grandfather I suppose.” Mother was the practical one in the family. His mother gave him a ‘yes dear, I know’ look and leaned back in her chair. There was no point doing anything until the tea was done and the dishes removed. But her son was right, they would have to act. And act quickly. Grandfather’s behaviour was getting worse and she feared that it was only a matter of time before he shot one of the maids or, God forbid, one of the hunting dogs. As the serving-girl cleared the dishes Frederick’s mother came up with an idea. St. John-Smythe, Cornelius. Deceased. Suddenly, after an unfortunate shooting accident. Father to Dexter Edwards and Grandfather to Frederick, Constance, Imogene and Fern. Grandfather Cornelius will be much missed. The hunting dogs were groomed for the funeral.